Celebrating Canada - Happy Canada Day!!! And now back to the red and white! Happy Canada Day, everyone!!! credits: "Canadian Crimson" by Clonehardware, "I Love Thee, O Canada" by j2studios, "Sassy Canadians" by JewelsbyJasmin,"Red and White Canada Day" by Junquete, "Canadian Picture Frame" by LeanneDesigns, "The Maple Leaf Forever. 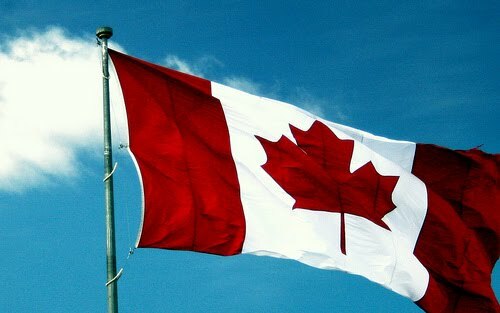 Happy CANADA Day!" by RecycledandResewn. Many thanks to all the Oh Canada! teammies that have worked so hard to curate Canadian-themed treasuries over the past week. I've tried to use as many as possible, and as usual, I am overwhelmed by the talent, spirit, and artistic vision of this team. Yay, Canada! Canada isn't always a place that people think of when they hear the word "fashion", but perhaps it should be. From couture to the everyday, to indie and artisanal creations, Canada has gorgeous, unique, classic and groundbreaking fashion all sewn up. Here are a few treasuries curated by OhCanadaTeam members that celebrate that fact. "Cottage Country, Canadian Style" and "Oh Canada, City Style" by DarkRide, "Canadian Fashion. Yep, We're Cool Like That" and "Canadian Geekery. Yep, We've Got it Too" by Splurge, "We Are C.A.N.A.D.I.A.N." by RecycledandResewn, and "Canada Rocks" by TheSilverBobbin. Canada is the second largest country in the world, and its landscape is by far the most beautiful. Well, I admit that that last part might be a bit biased. Geographically, our country varies greatly, but it's all breathtaking. Below are some treasuries curated by OhCanadaTeam members which feature artistic and photographic representations of our country's gorgeous scenery. Credits: Clonehardware, "What Do You Get a 144 yr. Old", Junquete, "Canada Day! ", Splurge, "Canadian Red and White", and Tarapparel, "Our Home and Native Land". Come back to see more fabulous Canadian treasuries all week long!!! 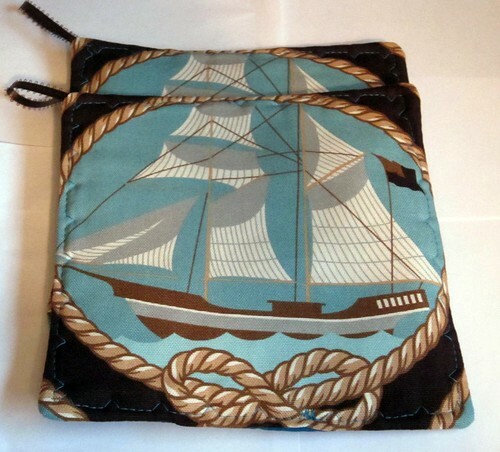 This set of two potholders featuring schooner boats on a brown background comes from the Etsy shop of SewingGranny. Known for her exquisite handiwork, SewingGranny's shop features handcrafted quilts, kitchen items such as aprons and potholders, burp clothes for the little ones in your life, coffee cozies, and a variety of other lovely items. Based on Prince Edward Island, an amazingly beautiful province located in the Maritimes, it is only fitting that a number of items in her shop have a nautical theme, such as this potholder set. Come check out SewingGranny's shop for more handsewn, handquilted items! You can also find SewingGranny's beautifully handsewn goods at: Wood Islands Lighthouse, Orwell Corner Historical Village, and Bisonview Studio Crafts. Wow! what a race with so many OUTSTANDING treasuries to chose from!!! 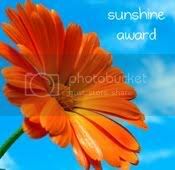 Congratulations to PauperHandmade for winning the May/June OCT Treasury Challenge. She has chosen this item from her shop for the July Challenge. Please include this item in a treasury with at least 10 other Oh Canada Team Members. What would be really great is if the last 6 are also Canadian Etsians too, but they certainly don't have to be. The Challenge will end on July 13th at midnight. Over the week following we will gather the votes for the most popular T.
I love taking photos and I almost never have them up on display because I never know where or how to display them. How do you put your treasured photographs up in an elegant and fashionable way? Well, with beautiful photo memory boards from Jen's Dream Decor. Jen also works very hard to create beautiful magnet boards, jewellery holders, and other decorative items for your home. Jen: I really love making my Photo Memory Boards the best. I have introduced a gathering technique which I do over double ribbons which really looks lovely and romantic. Jen: I took a 5 year long night school program in Interior decorating which has helped a lot in the design of products and in fabric choice. A lot of the upholstery and sewing skills I learned in my previous life as a collector bear designer and maker. Jen: What I really love is the feeling of timelessness that comes when you create, where you look up at the clock and can’t believe how much time has passed. There is simply nothing like it. Jen: The art of upholstery is something I admire and love to do in my limited fashion in my shop. I would love to do more and larger projects like headboards. Jen: Yes, a lot of plans…I’ve become re-interested in decoupage and plan to make book ends and expand on my line of key racks and coat racks. Jen: I love having creative control and being part of this fabulous amazing group of talented artists. Jen: Join this team (lol) seriously, joining a team to give you support and friendship is the best thing I ever did. Jen: Supplies, I can’t believe how fabulous the sources are on this site. It would take years to find all these products if I didn’t have Etsy. I also love to support the other members of my teams as much as possible. Jen: I love this frame(see photo to the left), which was a rare and wonderful garage sale find. Keep up with Jen and see what new discoveries she has made by visiting her Facebook Fan Page. You can also follow her on Twitter and drop by her shop to buy a beautiful, handmade treasure for your home. They look good enough to eat, don't they? But wait, these delicious looking creations from CarvelCountrySoaps are soaps, not desserts! Like everything else in CarvelCountrySoaps' Etsy shop, they're made with top quality ingredients, and are free from harsh chemicals and parabens. So, stop by and pick up a pampering treat for you or someone you love today! Copyright 2011 Oh Canada Team and CarvelCountrySoaps. Congratulations to the 4 finalists RecycledandResewn, PauperHandmade, WestCoastGlass, and TheSilverBobbin ! Voting is open until Sunday June 19th at 12am EST. The winner will be announced on Monday June 20th. Thanks for playing, and good luck to our finalists! 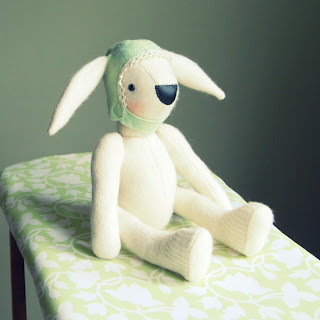 This Birthday Clown Bunny wool fiber structure is just so cute and twee! And what a whimsical way to wish someone an extra special birthday. For more exquisitely handcrafted needle felted animals, mobiles, natural toys and clothing, visit PauperHandmade's Etsy shop. You won't be disappointed. Her attention to detail, the lifelike quality of her animals, and general fine workmanship are not to be missed. And for a wide variety of amazing handmade and vintage finds, check out the other OhCanadaTeam member shops. A complete list can be found on our Etsy team page. All OhCanadaTeam members are eligible to be featured in our weekly Friday Finds. 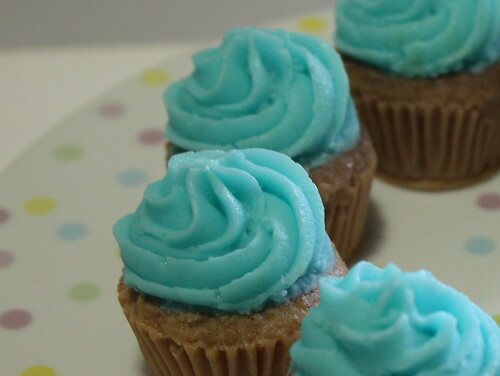 Just join our Flickr group and start uploading photos of your creations. Copyright 2011 Oh Canada Team and PauperHandmade. Let's not forget all the dads out there who are hard working, loving, nurturing, and deserving of a little TLC just as much as moms are. Father's Day is the perfect occasion to show Dad just how appreciated he really is. Here are a few Oh Canada Team pics to inspire your shopping on this Father's Day. Get this beautifully crafted leather wallet with an android design in a rich red and kiwi green from Keri V. Leatherworks. Another great gift idea are these reusable snack and sandwich bags. Great for packing a lunch or for snacks during long work trips. Get them at The Silver Bobbin. A wonderfully hip and totally retro pair of shorts with hot air balloons. Who says 'hip' anymore? Well, I do! You'll find these at Lucky Lucy's. Whether your dad gets his hands dirty in the garden or at work, he'll definitely be in need of some of this salve. A great way to heal and repair those dry dad hands. You can buy this one at MisticalAcScents. A great black belt with an eagle image that'll make any dad look fashionable. You'll find this flip top web belt at A.M.E. Creations.